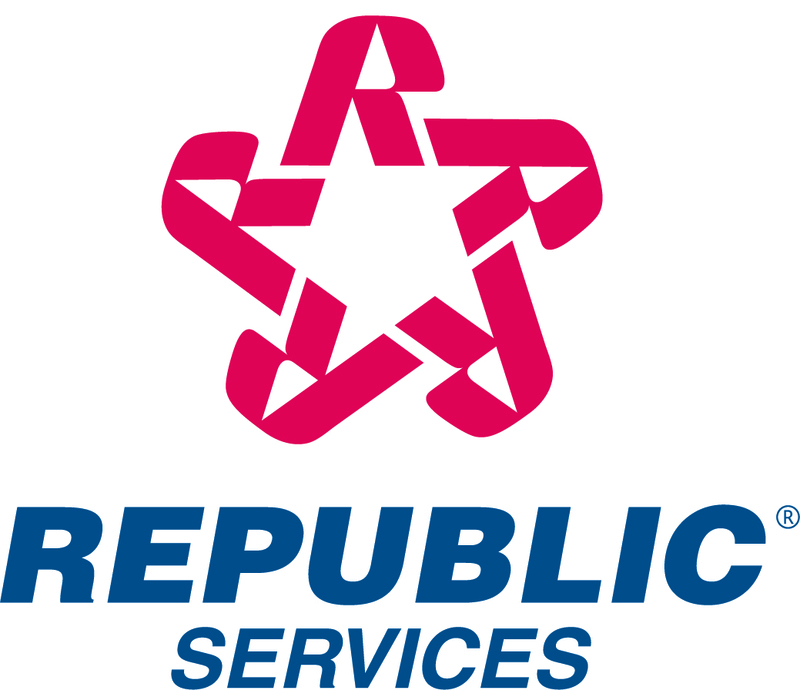 Republic Services, Inc. today reported that for the three months ended September 30, 2000, pro forma net income rose to $59.2 million, or $0.34 per share, from $53.9 million, or $0.31 per share, for the comparable period last year. Revenue increased eight percent to $539.1 million from $499.9 million for the same period in 1999. Pro forma operating income for the three months ended September 30, 2000, increased eight percent to $114.2 million, compared to $105.9 million, for the same period last year. Pro forma operating results for the quarter ended September 30, 2000 exclude a $6.7 million pre-tax charge for costs primarily related to the early closure of a landfill in south Texas. For the nine months ended September 30, 2000, pro forma net income increased nine percent to $168.6 million, or $0.96 per share, from $154.3 million, or $0.88 per share, for the comparable period last year. Revenue increased 15 percent to $1,574.2 million from $1,371.3 million for the same period in 1999. Pro forma operating income for the nine months ended September 30, 2000, increased 14 percent to $331.8 million compared to $291.9 million for the same period last year. "In the third quarter, higher fuel costs and labor rates placed pressure on Republic Services' margins," said James E. O'Connor, Chief Executive Officer. "We are actively addressing the fuel and labor issues by applying fuel surcharges, reviewing fuel purchasing practices and including these costs in the Company's price adjustment process. Despite these pressures, we believe that the Company will achieve the upper end of the $100 million to $120 million range for free cash flow that was set at the beginning of the year." Republic Services is also providing investors with information regarding management's expectations for the remainder of fiscal 2000 and for fiscal 2001. The following estimates assume, among other factors, that general industry and economic conditions including interest rates, fuel, labor and other variable costs, do not materially fluctuate from current levels. Earnings Per Share - We believe that fuel and labor rates will continue to exert pressure on earnings. As a result, we currently project fourth quarter earnings to be approximately $0.32 per share resulting in pro forma earnings per share of approximately $1.28 for fiscal year 2000, up nine percent from the Company's 1999 year end pro forma results. Free Cash Flow - At the beginning of the year, Republic Services established a goal of generating between $100 million to $120 million of free cash flow. At this time, the Company believes it will achieve the upper end of its free cash flow goal. Earnings Per Share - Republic Services believes it can achieve earnings per share growth in the range of 10% to 13% during fiscal 2001. Free Cash Flow - In fiscal 2001, the Company anticipates its growth in free cash flow will exceed its net income growth. Internal Growth - Historically, we believe the solid waste industry in the United States has grown at a rate which approximates the Gross Domestic Product plus pricing growth. The Company believes that it can achieve pricing growth of 2.5 to 3 percent in light of recent inflationary pressure. Acquisitions - During 2001, the Company's disciplined acquisition process will remain in place and it will move forward on opportunities that enhance its business platform. Certain statements and information included herein, including projections of future cash flow, net income, earnings per share, the existence of and our ability to address fuel and labor cost issues, the continuation of inflationary pressure and our ability to achieve pricing growth in the future, constitute "forward-looking statements" within the meaning of the Federal Private Securities Litigation Reform Act of 1995. Such forward-looking statements involve known and unknown risks, uncertainties and other factors which may cause the actual results, performance, or achievements of the Company to be materially different from any future results, performance, or achievements expressed or implied, in or by such forward-looking statements. Such factors include, among other things, whether the Company's estimates and underlying assumptions concerning its selected balance sheet accounts, closure and post-closure costs, available airspace, and projected costs and expenses related to the Company's landfills and property, plant and equipment and labor and fuel rates and inflationary trends turn out to be correct or appropriate, and various factors that will impact the actual business and financial performance of the Company such as competition in the solid waste industry; dependence on acquisitions for growth; the Company's ability to manage growth; compliance with and future changes in environmental regulations; the Company's ability to obtain approval from regulatory agencies in connection with expansions at the Company's landfills; the ability to obtain financing on acceptable terms to finance the Company's operations and growth strategy and for the Company to operate within the limitations imposed by financing arrangements; the ability of the Company to repurchase common stock at prices that are accretive to earnings per share; the Company's dependence on key personnel; general economic conditions, including but not limited to inflation and changes in fuel, labor and other variable costs that are generally not within the control of the Company; dependence on large, long-term collection contracts; risks associated with undisclosed liabilities of acquired businesses; risks associated with pending legal proceedings; and other factors contained in the Company's filings with the Securities and Exchange Commission. Note: The Pro Forma Unaudited Consolidated Statements of Operations for the three and nine months ended September 30, 2000, exclude a $6.7 million pre-tax charge related primarily to the early closure of a landfill in south Texas. The Pro Forma Unaudited Consolidated Statements of Operations for the three and nine months ended September 30, 1999, exclude a $2.4 million and $6.4 million, respectively, pre-tax charge resulting from the Company's separation from its former parent company, AutoNation, Inc. The following information should be read in conjunction with the Company's audited Consolidated Financial Statements and notes thereto appearing in the Company's Form 10-K as of and for the year ended December 31, 1999. It should also be read in conjunction with the Company's Unaudited Condensed Consolidated Financial Statements and notes thereto appearing in the Company's Form 10-Q as of and for the three and six months ended June 30, 2000. During December 1999, the Company entered into a $100.0 million operating lease facility established to finance the acquisition of operating equipment (primarily revenue-producing vehicles). At September 30, 2000, $78.2 million was outstanding under the lease facility, of which $14.0 and $42.0 million were added during the three and nine months ended September 30, 2000, respectively. Capital expenditures include $.9 million and $1.5 million of capitalized interest for the three months ended September 30, 2000 and 1999, respectively, and $2.4 million and $4.5 million of capitalized interest for the nine months ended September 30, 2000 and 1999, respectively. As of September 30, 2000, accounts receivable were $260.7 million, net of allowance for doubtful accounts of $13.5 million, resulting in days sales outstanding of approximately 44 (or 32 days net of deferred revenue). In July 2000, the Company announced that its Board of Directors authorized the repurchase of up to $50.0 million of its common stock. As of September 30, 2000, the Company repurchased 886,100 shares of its stock. As of October 25, 2000, the Company repurchased 1,261,100 shares of stock and had $32.3 million remaining to fund stock repurchases under the repurchase program. Volume growth for the three and nine months ended September 30, 2000 was impacted by non-core operations. Excluding the effects of these non-core operations, volume growth was 5.4% and 6.0%, respectively.